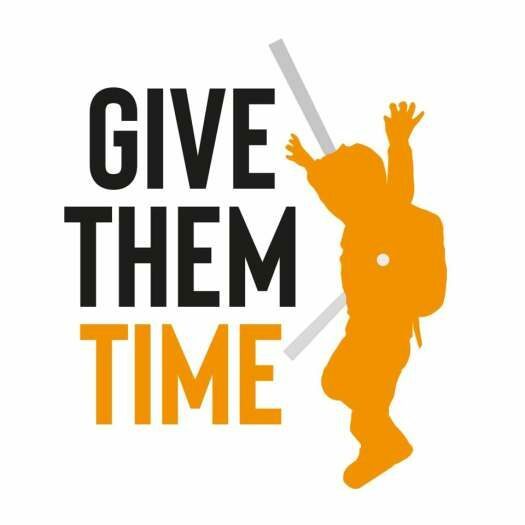 Connect fully supports the ‘Give Them Time’ campaign for deferral for children who need it. A child-centred and child-led education system must put children’s needs first. We’re aware that in some areas, parents are not advised of children’s rights to deferral. Worse still, deliberately obstructive practices and misleading information are used to discourage parents from applying for deferral for their child and exercising their rights. Processes for applying can be complicated, bureaucratic and slow. Families have a right to clear information and to fair, open procedures for applying for deferral. They are also entitled to know what their legal rights are. Play Scotland supports the aims of the Give Them Time Campaign regarding child-centred decision making about deferrals. It is essential that all parents have accurate information so they can make informed choices based on the age and stage of their child’s development. Decisions about deferrals need to be based on the best interests of the child and applied in a consistent and equitable manner across Scotland. We need the right building blocks in place to ensure children can benefit from the provision that best suits their needs and best supports their play-based learning. National Parent Forum of Scotland are pleased to announce our support for the Give Them Time campaign. Parents are frequently not provided with transparent information about schooling and deferrals are a clear example of this. Parents should know their rights so they can decide what is best for their individual child. We believe the same opportunities for extra nursery funding should be available to every family across Scotland and not be dependent on postcode. Current deferral policy across Scotland tends to be focused on a crudely financial decision rather than having the child’s development and the family’s needs at its heart. This difficulty can be compounded if communication with parents is poor, information about the process is opaque, and parents are made to feel like they are asking for a special privilege – rather than something that is in the absolute best interests of their child and family. We are hopeful that many of these problems will resolve following the Scottish Government’s childcare expansion in 2020. Until then, Children in Scotland supports the aims of the Give Them Time campaign and joins them in calling for a more intelligent, sensitive and child-centred approach to policy on deferral and the school starting age. Upstart Scotland heartily supports the Give Them Time campaign. All parents wishing to defer their children’s entry to formal schooling should be supported to do so by their local authorities. Scotland’s extraordinarily early school starting age has always disadvantaged many children and – due to lifestyle changes over recent decades – the need to focus on health, well-being and outdoor play during early childhood grows greater every year. Until Upstart achieves our aim of a relationship-centred, play-based kindergarten stage for all three- to seven-year-olds, it’s vital that parents’ right to defer school entry is upheld. Currently only children born in January and February have an automatic right to defer their child’s entry to school by a year whilst retaining a guarantee of an additional year of pre-school funding. Reform Scotland thinks that the guaranteed additional year of funding should be extended to all children who are due to start school at the age of four and have a right to defer. For more information please read our report ‘The Early Years Lottery Report‘. Home-Start works with many parents who want to grow their confidence, knowledge and skills so they can give their children the best possible start in life. We support Give Them Time because we believe every parent should know about and be free to exercise rights which are designed to help them do what they feel is best for their children.